The hashtag #Sandy on Instagram has more than 315,000 photos, most of them uploaded during the last 24 hours during the hurricane Sandy in New York and the east coast in the USA. 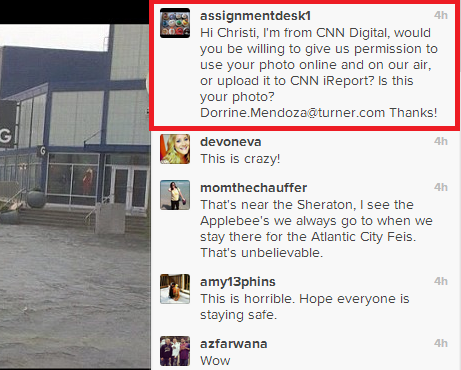 The vast number of images uploaded by ordinary citizens is a gold mine for news media. 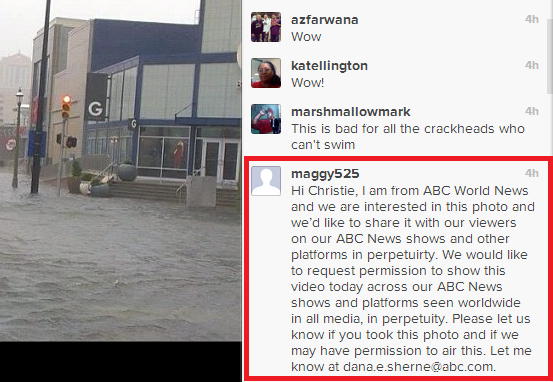 We have seen it before and this time it is happening again, journalists asking for permission to use photos on Instagram in their reporting. 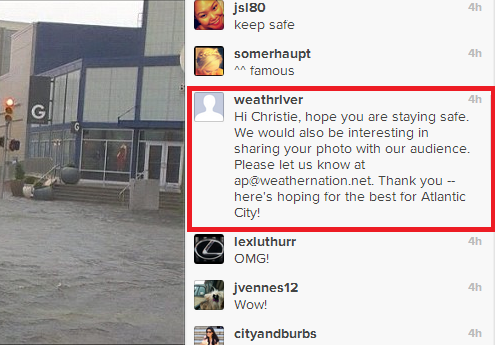 During breaking news stories like natural disasters, social media can be an invaluable news source. The problem is that with increasing attention the likeliness that someone will take advantage of the situation also increases. Yesterday, it didn’t take long for spam links to appear on Twitter under the hashtag #hitsunami which was used to report about events during the supposed tsunami that would hit Hawaii. Also, pranksters and people who are just misinformed tend to spread false rumours and fake photos and videos because social media is so fast and few of us actually stop for a moment to check the source of the information. 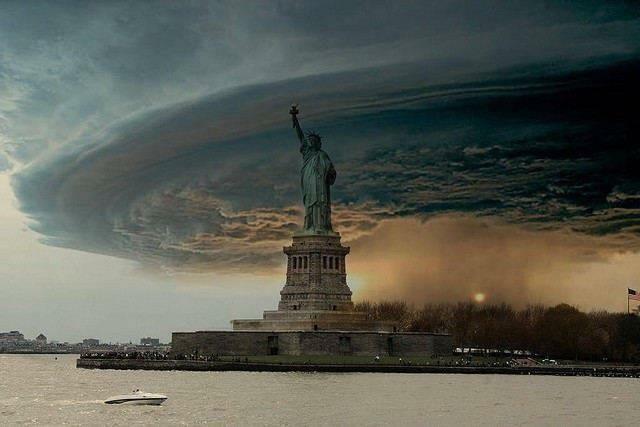 A photo from the hurricane Sandy, aka Frankenstorm, has just gone viral on Facebook with currently more than 177,000 shares. 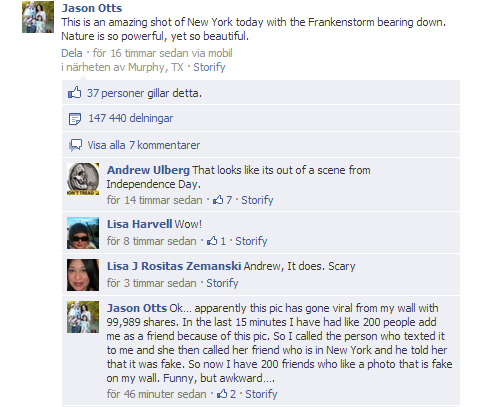 The problem is that it is fake, and definitely not taken today. A quick picture search on Google reveals that the image appeared already two years ago. A two year old version of the image from Sept 16, 2010 was posted on Urban Legends. As always, it if looks to good to be true, it probably isn’t true. Stop for a moment and check before you share. Hat tip: I found this via Andreas, @Iam_Curtis on Twitter.